In my high school, the fine arts were secondary — the natural sciences, social sciences and humanities often took priority in a student’s schedule. This was true for me; my counselor would frequently suggest moving or cutting my fine arts classes to make room for state requirements, and, coming to Kenyon, I expected my education to be more of the same. When I first met with my academic advisor, I was taken aback by how much support he gave me in taking artistic classes, specifically poetry. Whereas my high school counselor would propose I postpone enrolling in a poetry class, my academic advisor supported my endeavors wholeheartedly, trying his best to see how I could fit the class within my schedule. In my spring semester, I enrolled in an introductory poetry class that has transformed my poetry and the way I view art; the class itself was such an intimate and transformative experience that I am planning on enrolling in advanced poetry in the fall to push myself further. My experiences in class have led me to become deeply involved with Kenyon’s poetry scene. At Kenyon, it is impossible to go a day without an artistic event happening. There are a host of open mic events and art galleries available every week — all largely student run. Since coming to Kenyon in the fall, I have made it a personal goal of mine to attend every open mic event and perform my poetry. Open mics are spaces dedicated to showcasing student art through performance. Students attend the event and express their art in various forms on stage, including spoken word, musical performances, stand-up comedy and dances. The artistic community of Kenyon has provided me with a space that has allowed both for personal growth and an opportunity to share with and teach others. I have had the opportunity to host open mic events and witness first-time performers, collaborate with other artists and poets on campus, and present my art in formats other than spoken word, namely poetry galleries, where I am able to explain my poetry as it is appears on the page. In poetry galleries, my poems are put on display in the Horn Gallery, and I stand available to describe my artistic process to visitors. Kenyon’s artistic atmosphere is not limited to poetry and visual art. 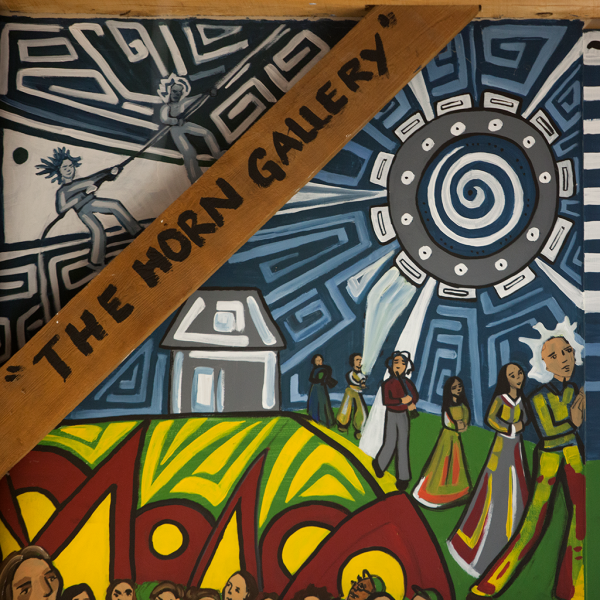 Several of my friends are musicians, and often perform live at the Horn Gallery and during open mics. Kenyon musicians regularly collaborate and form groups, experimenting with their craft. In the spring semester, I joined Kenyon Magnetic Voices, Kenyon’s spoken word group, and have been introduced to a variety of other mediums and artistic scenes as a result. In my time here, I have been able to mix my own poetry with other artists’ work — performing spoken word over live music, pairing my poetry with visual artists, and writing and performing spoken word with other poets collectively. Kenyon has given me the environment and resources to improve my art, and the artistic culture of Kenyon is, in my eyes, invaluable.